I really love listening to new artists. A lot of times I’ll get an e-mail from someone who just started singing country music, or from someone who just put together a CD, and they want me to listen to it. Sometimes I just kind of find these new artists … or as in the case of Craig Moritz, he found me. I got one of those little e-mail messages from MySpace … it said “Craig Moritz has added you as a friend.” Oh, ok – let me run over there and find out just who Craig Moritz is. So, I opened up MySpace, and I looked at his profile, and I listened to his music … and then I smiled. As you probably guessed from all that, Craig Moritz is now my friend on MySpace. And it’s time to share him with all of you. 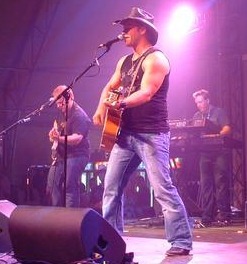 Craig has opened shows for and shared the stage with various artists, including: Dierks Bentley, Sara Evans, the Nitty Gritty Dirt Band, the Road Hammers and George Canyon. Craig has become a touring mainstay on the Fort McMurray/Edmonton/Calgary club circuit and has a legion of fans. Since the official release of his 2005 debut album, “The Way I Feel,” which was produced by Tom McKillip, Craig has been touring vigorously to bring his hit tunes to the masses. Response to the first album was overwhelmingly positive, and left fans wanting more from the kickin’ country crooner. 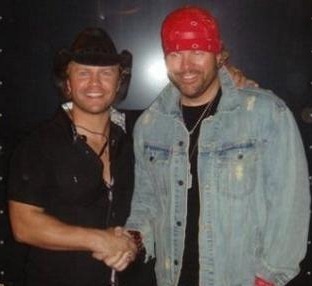 I love these pictures of Craig with Toby Keith and Dierks Bentley. He just kinds fits right in there. He’s the kind of entertainer who seems to be very comfortable, and doing what he really wants to do. He has some songs up on his MySpace page that you can listen to – and they’re all really good. “Good At Lovin’ You,” “Christmas Down in Mexico,” “Blame You,” and “Hey Y’all" are all great examples of what this kid can do. He’s got a nice sound, he’s just really easy to listen to. I know you guys are going to enjoy Craig’s music. I’d really like to see this guy live, but after checking his schedule, it looks like the only chance I might have to do that is Feb 11-14, when he is in Nashville on a publicity tour. Most everything else on his schedule right now is in Canada – quite a distance from Northeast Tennessee. In addition to his MySpace page, Craig has also got a web site, and Facebook page. And, you are definitely gonig to want to check him out on YouTube. I’ll give yuo a little start with that one. Here’s Craig Moritz’s “Blame You” video. Very nicely done! It’s the weekend! I’m ready to find something fun to do because it’s Saturday, and it’s not raining or snowing. I hope you all have a very good Saturday, too. And I hope you’ll head on over to Craig Moritz’s MySpace to check this guy out. You will notice that a lot of the information here is directly form his biography on his MySpace page, but I didn’t get it all in here – you’ll want to read the rest. Very interesting kid. And, a very talented one. Drop me a line when you get a chance. I’ll talk to you all soon! That is a very good article about Craig…. 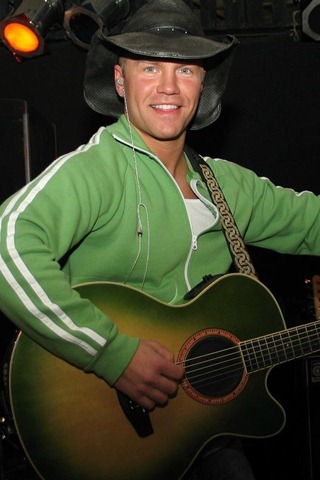 I must agree with you on all of it… He is a great entertainer and he puts on a great live show!! 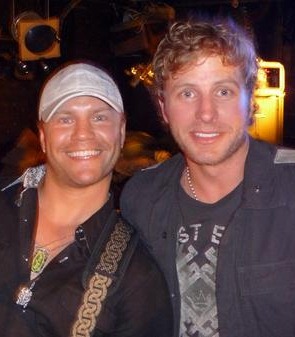 You better check him out when he is in Nashville!! I live in Alberta, Canada and I attend all the Craig Moritz shows I can!! I’m glad you enjoyed the article. I am hoping that I will be able to get to Nashville when he’s there, but I’ll be there Feb. 9 and 10, and I’m just not sure if I’ll make it down Feb. 11-14, when Craig is in town. I sure will if it’s possible. I appreciate your comment. Thanks so much for reading Country’s Chatter. Love the article! Thanks so much! You are more than welcome, Craig! It was my pleasure. I really enjoy your music, and I’m looking forward to hearing more from you! 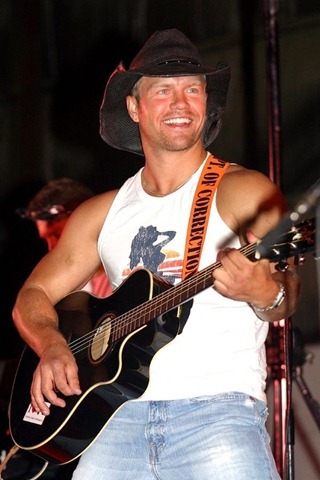 Pingback: countryschatter.com » Blog Archive » Craig Moritz is still one of the best country music has to offer!